NICE, ALPS MARITIMES/FRANCE - APRIL 29, 2015: Fontaine du soleil fountain statue at Place Massena. 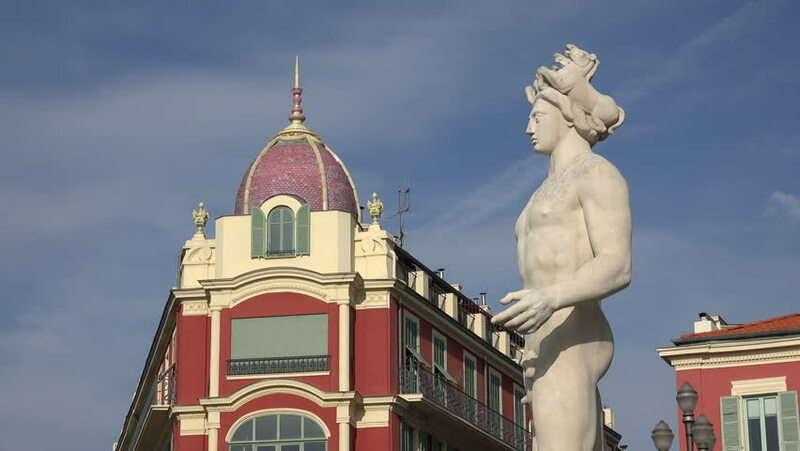 Place Masséna is bordered by red ochre buildings of Italian architecture. hd00:05Church Tower and cemetary. View over church Cross and cemetary area. Dolly movement. Early morning fog. Automne in sweden.